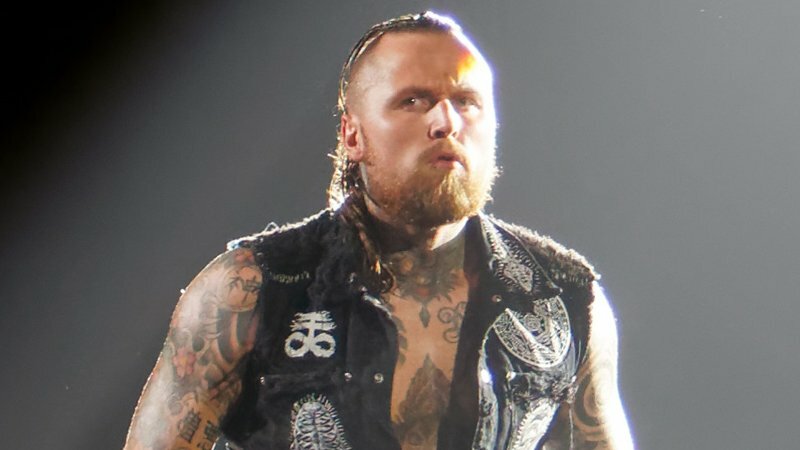 The duo of Aleister Black and Ricochet teamed up once again on SmackDown Live. They took on the newly formed team of former United States champs Shinsuke Nakamura and Rusev. The NXT duo were looking to continue their hot streak after defeating The Revival on RAW last night. The two former US Champions held the advantage for the first half of the match, but the wily NXT stars managed to fight their way back into the contest. Ricochet was able to take out Rusev with a dive to the outside and Black took on Nakamura. He wound up hitting a Black Mask and that was all she wrote, as the two upcoming stars got the biggest main roster win of their career. After the tag match, AJ Styles was interviewed in the back. He said that despite his recent slump he was going to dust himself off and get back into action. He vowed to show that SmackDown was the house that he built. However, after saying those words “The Viper” showed up. Orton didn’t look pleased that Styles was taking credit for the brand and it looks like their paths will continue to cross paths inside the ring soon.